The purpose of this course is to teach R statistical environment to be applied to transcriptome data analysis. After this course, the students will be able to use R for analyzing diverse data types from very different biological experiments focused on gene expression. The topics will introduce the theoretical aspects of the covered methodologies, and after that, assignments and activities will provide opportunities to explore the practical ways of performing the analyses. You will learn how to use R for performing statistical analysis relevant for molecular biologists. You will learn how to perform simple sequence analysis with R. You will get an essential overview of biological network analysis and the highly popular enrichment analysis of gene lists. 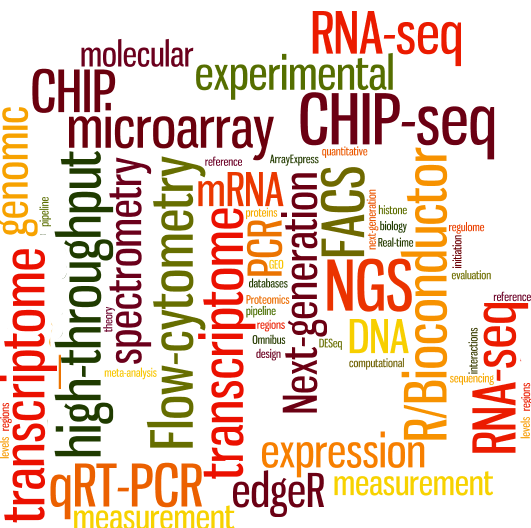 Additionally, the most prominent transcriptome analysis methods will be covered with medium to advanced level code examples and practices. Special requirement: You will have to use the R software for the practical parts of this course. R is a free software programming language and a software environment for statistical computing and graphics. You have to be able to install this free software on your computer. You are supposed to have some experience with R, for example, you are expected to be able to install R packages from CRAN and Bioconductor for successfully participate to this course.